Sorry for being away for so long. I’m doing my best to maintain this page with new and exciting things in G Suite for Education. There’s a ton of new stuff, and some new tricks that I hope to show you as well. I have been administering PA Day registrations for my school board for a while now using Google Forms. It was until recently that I came across a great video that helps manage the number of times Google Form respondents can select from a provided list of options – in my case, sessions. I modified one important thing that JZ Prezzavento did; rather than update the options list with a ‘FULL’, I modified the formula so that the session is removed completely from the list! That way, people wouldn’t be able to choose an option with the title FULL, which respondents can technically do. Google Drive for the web is getting a bit of an update to align with Google’s latest material design principles. Here’s’a folder of screenshots of the new interface here. 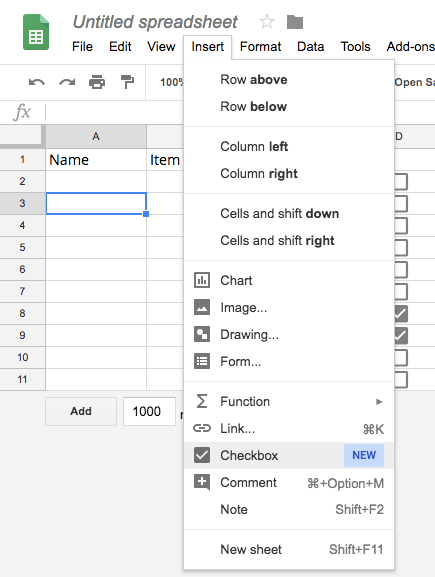 Fancy New Google Sheets Features! You can add checkboxes to cells in a spreadsheet. Use checkboxes for many purposes, like to track a project, take attendance, and check off your to-do list. For more information, visit the official Docs Editor Help page. You can save time by automating repetitive tasks with macros. For more information, visit the official Google Docs Editor Help page. For even more information on the latest updates with Sheets, visit the G Suite Updates Blog post here. Anyone, anywhere can organize an Hour of Code event. One-hour tutorials are available in over 45 languages. No experience needed. This year, GSuiteHelp.ca would like to share with you that there’s an awesome Hour of Code activity for students to Create your own Google logo! This activity is provided through the CS First with Google program, which is one of many initiatives at Google focused on improving access to computer science in education. For a link the to the teacher resource page for this activity, packed with full lesson plans, information flyers and certificates for completion, click on the link below. 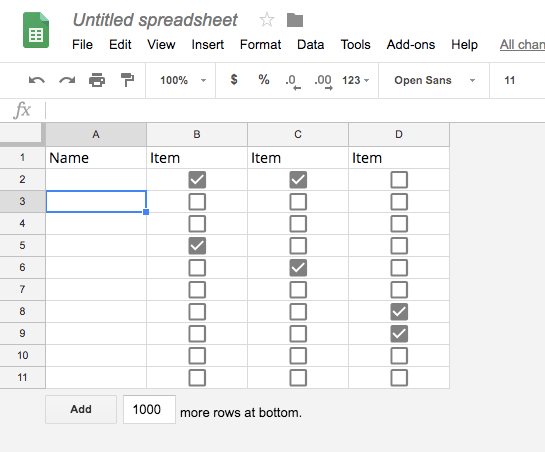 Last year, Google made it easier to keep Google Sheets charts up-to-date in Docs and Slides, which was awesome. If you didn’t think it could get any better, well it did. Now, they’re making it simple to keep tables updated, too. Just copy and paste data from Sheets to Docs or Slides and tap the “update” button to sync your data. Even more – you can now visualize and share your data in a Sheet with the new Explore feature. For more information, visit the G Suite Updates official blog post. Google Classroom now available for all! Google Classroom is now available to users without G Suite for Education accounts. Teachers and students in many different environments can now teach or attend classes, manage assignments and instantly collaborate—all with their personal Google accounts. G Suite for Education administrators will see updated Classroom settings that give them new controls over who can join their classes from personal Google accounts or from other G Suite for Education domains. This update gives schools more flexibility in how they collaborate with other organizations and students: For example, student teachers or visiting students can now easily integrate into their host school or university’s Classroom set-up. To learn more about this, visit the Google for Education official blog post. There was a time that math teachers would simply avoid the thought of using Google Docs or Forms for handouts or assessments, but that time is now in the past for sure with with the recent update to gMath – equatIO. I was recently notified of an update to the gMath add-on for G Suite for Education. gMath was pretty awesome for the times that I needed to use it, so I was excited to see the improvements. And, it did not disappoint. equatIO has made creating math expressions so much more doable now for teachers in preparing work in Google Docs or Forms, but also for students to complete assessments that require math expressions. For more information, visit their product page.